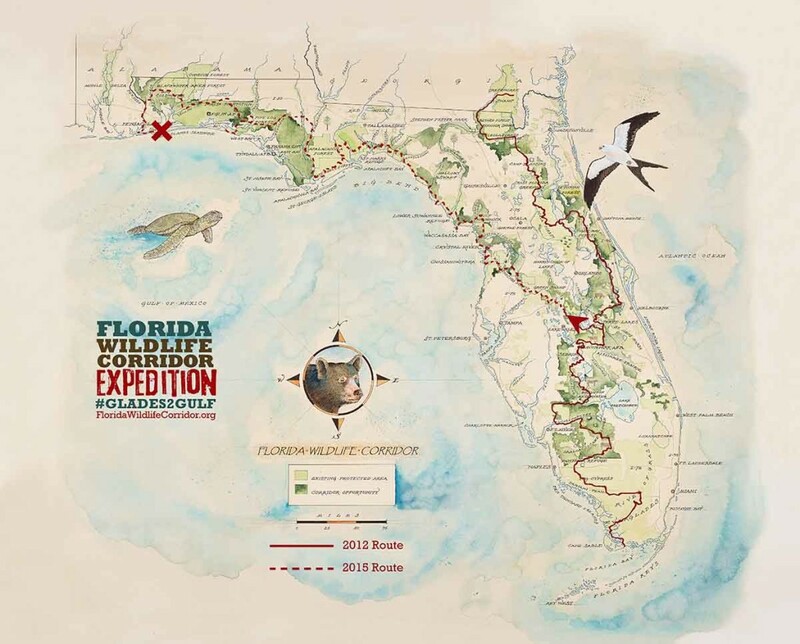 The vision of the Corridor is depicted beautifully in this watercolor map; original painting by Mike Reagan, designed by Carlton Ward Jr, Tom Hoctor, Richard Hilsenbeck, Mallory Lykes Dimmitt and Joe Guthrie. Explore the maps that follow to gain further insight on the rich natural heritage of our State, especially within these important lands. 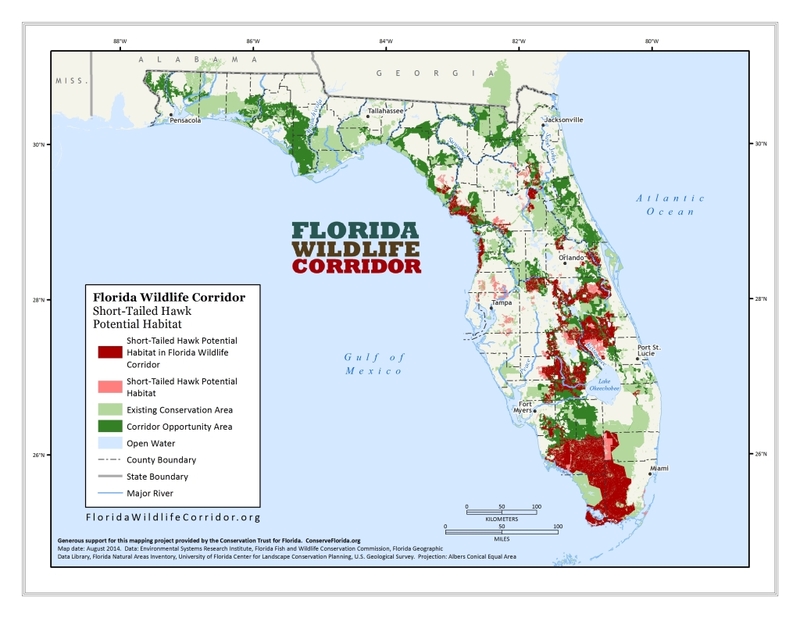 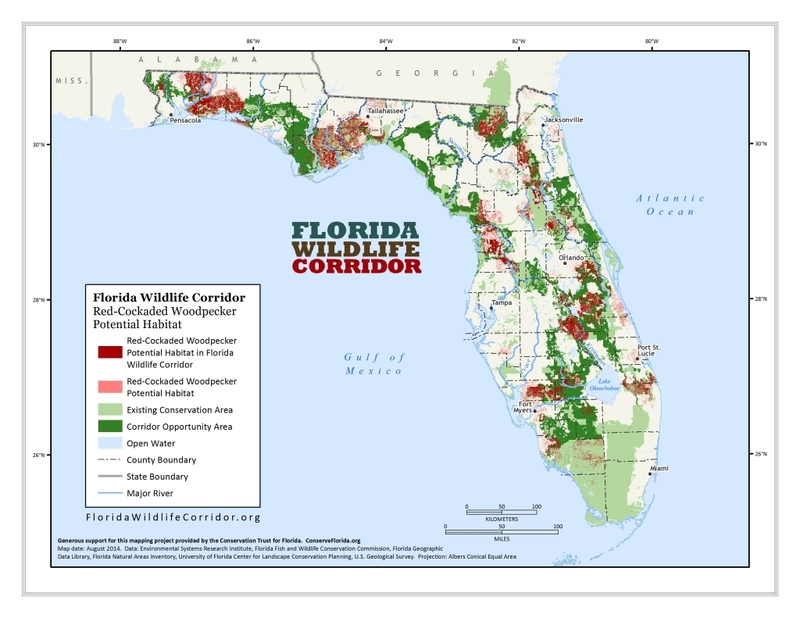 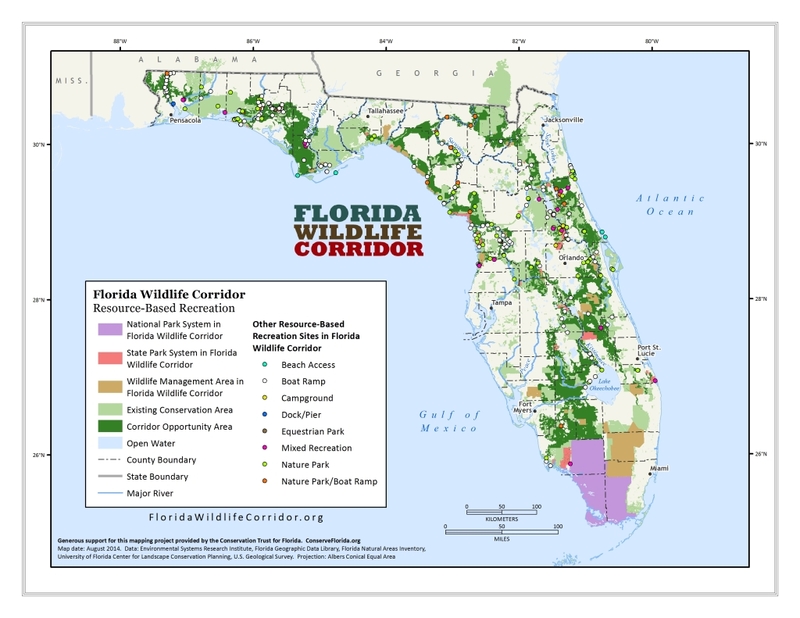 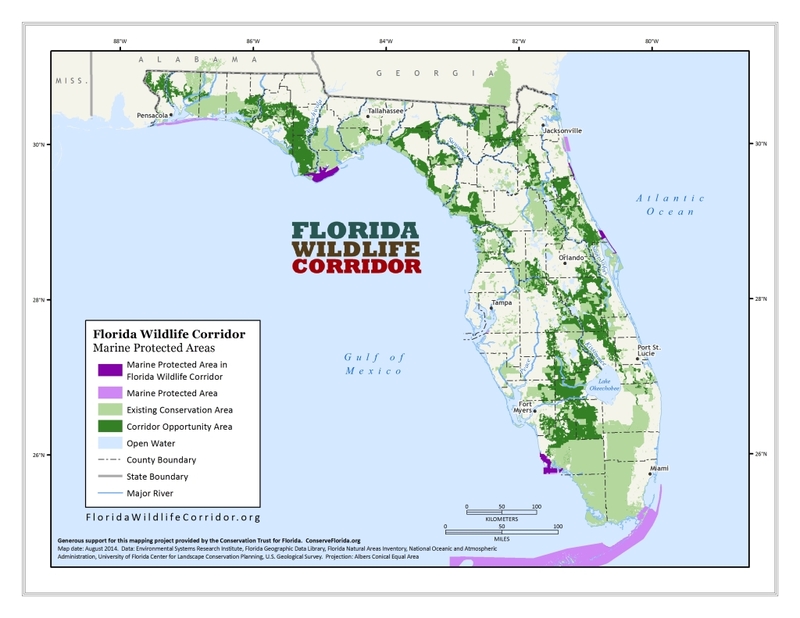 Explore the extent, habitats and roadblocks within the Corridor through these maps. Click or tap to reveal layers, choose full screen with arrows in top right. 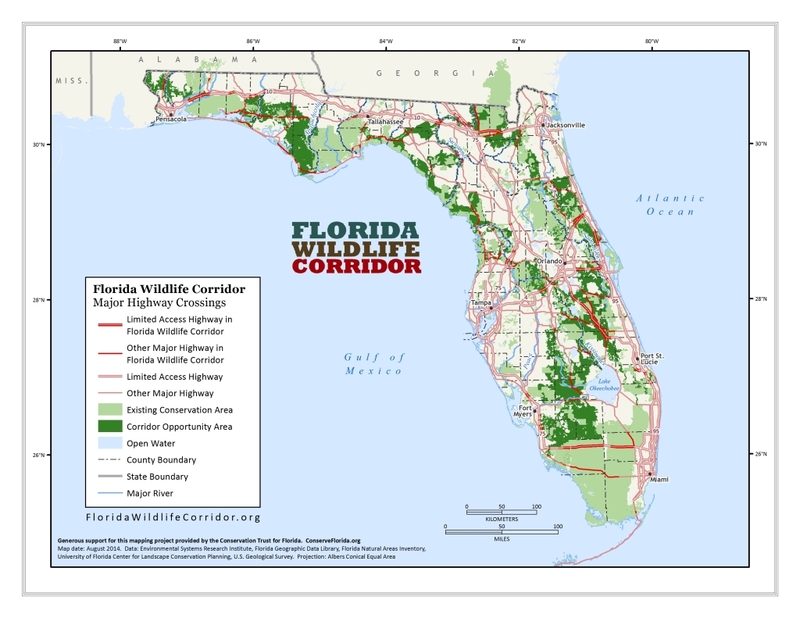 You can also download a high-resolution jpg file to share! 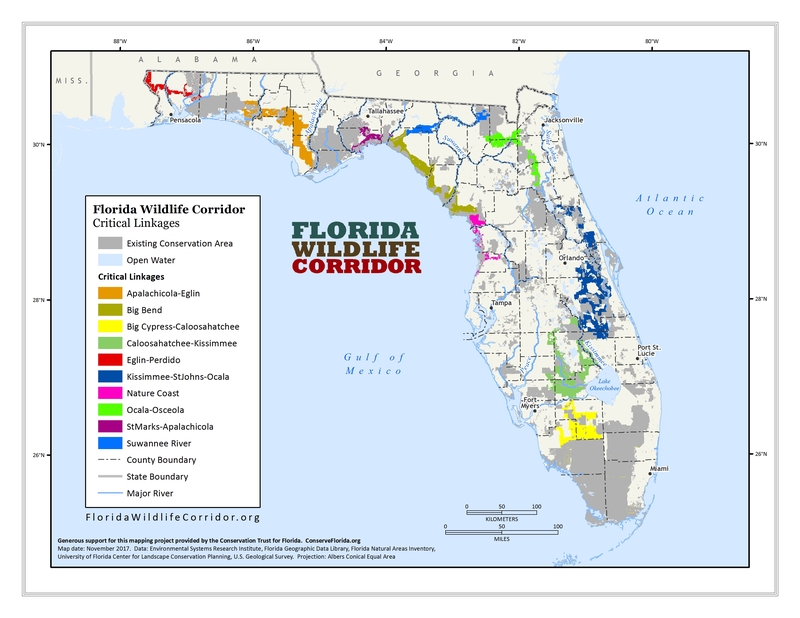 Click here to download high-resolution map image for print.